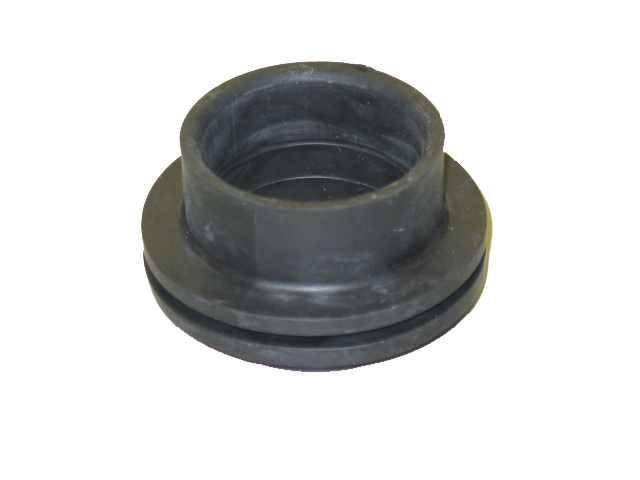 2" Self Appliable Flex Rubber Fitting used for Polyethylene Plactic Tanks. Cut 2-5/8" hole. Put a flexible sealent in groove of the fitting such as silcone. Push the fitting into the tank with a blunt screw driver. Insert ABS Pipe, no clamp necessary.